Chuck Levers from Forging - B&S Machine Services Inc. Replacement Parts From the start, The Brown & Sharpe Manufacturing Co. required the best chuck levers possible for its screw machine. The requirement is to withstand several million deflections of up to 0.055”. After extensive trials, it was determined that chuck levers from individual forgings provided the best metallurgy for this application. The grain flow was perfect for a superior part. Our levers are still made to these standards today. • Specifying Brown & Sharpe Chuck Levers is one of the ways you can cut your downtime. • Precision machining for virtually identical levers ensures equal stress, longer service and even chucking pressure. 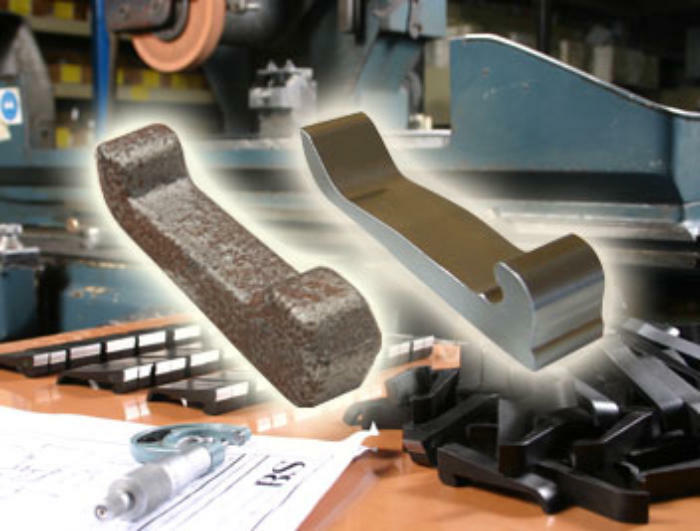 • Why take a chance on levers cut by an EDM from plate steel when you get real value from B&S originals. Make your customers happy and cut your downtime and scrap by using Brown & Sharpe replacement parts.